Valentine’s day is the day of love, the day of lovers, and is just around the corner. Soon we will be planning this special day to grow love in our relationship or to grow love towards ourselves. Chocolates, flowers and restaurants are sure ways to show our loved ones that we care, but sometimes even the smallest of gestures can be enough and can fill the space in someone’s heart. For those who are single, they may be waiting for Cupid send someone their way. If you first chose the pink heart then prepare for a cute and cuddly Valentine’s day. You may start the evening with dinner and a movie or on a special date, but the theme will focus on comfort, sweet feelings and affection for each other. Intimacy will flourish and the emotional connection between you and your loved one will be as close to falling in love as can be. If you chose the green heart then this Valentine’s Day may be more about self-care than about building love with another. While at times you encounter loneliness when seeing a happy couple pass by, you recognize the importance of beginning with the self and practicing self compassion. Life begins from the inside out, so when we give love to ourselves, love shows up outside in our daily lives, and you have started to realize this. If you spend this day alone, make sure you do something special for yourself, whether it’s a nice dinner, a relaxing bath, or eating chocolate while watching your favorite movie, you can feel just as loved as the most romantic couple. If you chose the yellow heart then your Valentine’s Day is going to be warm and cozy. While you value close intimacy, today may be spent in close physical contact as well while you and your partner have a wonderful day together. The two of you will prefer having your own space and staying out of stressful crowds. The rekindling of romance and the reigniting of your passion and warmth is going to be this Valentine’s Day theme. 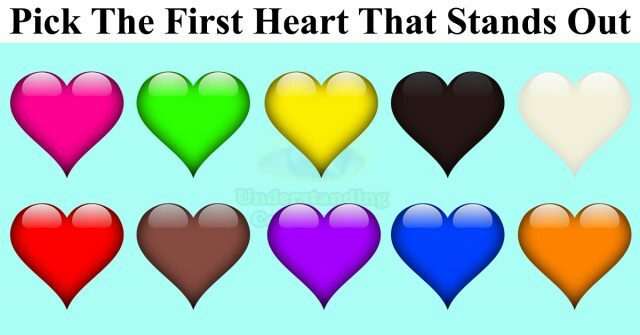 If you chose the black heart then your Valentine’s Day could either be wildly entertaining or a bit troubling. Keep your focus on the love in your heart to avoid fights with a loved one, and if you can turn any small disagreements around into a flirtatious game or enjoyment, you just might pull this Valentine’s day off with love and excitement. Going above and beyond today to do something exciting is just what the two of you need, so keep your calm and make a plan that you’re sure the both of you will love. If you chose the white heart then this Valentine’s Day will be about innocence and embracing the purity of each other’s hearts. Sitting in this heart space together could make your love grow beyond what you thought possible. If both of you chose the white heart, then get ready for sparks to fly. Your experience will help you both realize how much you love each other and how much you mean to each other. Trust and peace will come naturally together, hold hands at every opportunity, and hug and smile as much as possible. If you chose the red heart then your Valentine’s Day is going to be filled with passion and romance. You will be extremely attracted to your partner today, and deep gazing into each other’s eyes will have both of you realize how deeply you desire each other. Adding elements of romance; flowers and a thoughtful night out to somewhere you both enjoy will bring about a strong love and combined with this passion this could be one of your greatest Valentine’s Days yet! Don’t be afraid to tell your special someone how much you love them, they’ll remember it forever. If you chose the brown heart then your Valentine’s Day is going to be centered on appreciation; how much you both truly appreciate each other. The conversations between the two of you will likely center around reflecting how much your love has grown and how deeply connected you both are. Both of you are able to remain calm enough to make mature decisions moving forward, and yours is a love to stay. If you chose the purple heart then your Valentine’s Day is looking to be quite adventurous. Discovering new and exciting things about your partner is likely to happen, and you may be quite impressed at what a wonderful person you have with you on this day of love. These new qualities cause new love to blossom. Make sure to try new things and don’t be afraid to show off your adventurous side a little, it can lead to wonderful new ways to express your love. If you chose the blue heart then your Valentine’s Day is set to be simple, yet beautiful. As vast and deep as the blue sky goes, you’re able to sit quietly in your heart and your partner can feel how big your love is. And similar to the beautiful blue ocean, the love between the two of you runs very deep. If you feel overwhelmed by certain feelings or experiences on this day, just remember what’s important; that you are both together on this beautiful day and can trust each other, and that this love is real. If you chose the orange heart then your Valentine’s Day is going to be fun but also busy and maybe a bit random. It’s possible that previous plans would be changed but new ones will come and work out just fine. Living in the moment is your theme this Valentine’s Day, and it ends up being a great time, just remember to go with the flow and let the river take you. Enjoy the little acts of love along the way and you’re sure to have a memorable Valentine’s Day.